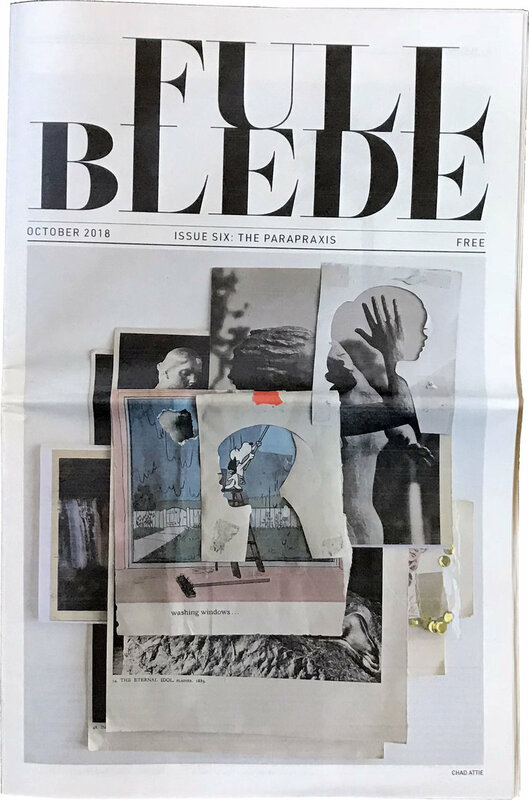 I contributed to the upcoming issue six of FULL BLEDE, a broadsheet featuring contemporary writing and art and will be at the release/celebration on October 27th. Our sixth issue explores slips, mistakes, and subconscious signifiers. Join us at The Lodge to celebrate our latest issue, in conjunction with the opening reception for Eulogies / Chad Attie. All are welcome, 6-9p, valet parking provided.